Unlike Winter, when most of us hibernate in track pants with a pile of snacks around us, Summer lends itself to glorious nights out; sunset drinks seamlessly turn into after dark dates with someone special. I’d like to point out now that whatever my beauty routine, however simple or complicated, it’s always done for me. Beauty is at its best when you’ve done it to please yourself. For that reason, you’re never going to see a Beach-Ready Body Edit from me – to be beach ready, grab a towel. That said, I love the ritual of getting ready, especially for date night. With a rose in hand. This isn’t a "I-hope-they-like-me" date, it’s the date where you already know they do. I read once that people who smell good are perceived as being more attractive, which is about all the encouragement I need to use a favourite fragrance. For those dates where you’re sipping drinks and sitting just a little closer than usual, warm fragrances come out on top. Tom Ford Soleil Blanc ($312 for 100ml) is amazing. "BUT IT’S A BEACHY, DAY FRAGRANCE!" you shout while spilling your bellini on your keyboard. Yes it is, but it also smells like warm skin and that reminds me… of that line from Clueless. Try it, you will be impressed. My favourite lip look for this date, and in general, is 'my lips but better'. I don’t load up on lipstick, just lip liner and some balm, which is perfect when you think about it - super low maintenance and looks even more amazing a little smudged at the end of the night. M.A.C Lip Pencil in Subculture ($18) is a solid option, just apply and smudge gently with your finger. Obvs it’s a date and you (hopefully) kiss - and, soft lips come by way of Glossier Balm Dotcom in Rose ($12) - no obvious tint, has a subtle but grown-up scent and works like a dream. Glossier Balm Dotcom is without doubt the best lip product I’ve used. And I’ve used, like, a lot. I am not an ‘eye makeup person’, as much as I love makeup, you will never see me on Youtube blending five different shadows and doing a seamless cat eye. My look is put-together low maintenance. But I do totally understand the power a little eye makeup can have. 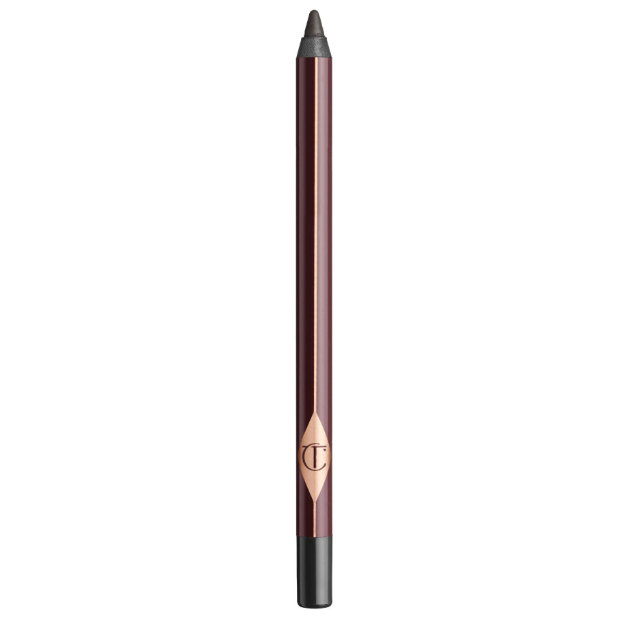 For that reason, I’ll smudge a dark brown kohl pencil Stila Smudge Stick Waterproof Eyeliner in Espresso ($22) or Charlotte Tilbury Rock’N’Kohl in Barbarella Brown ($27) into my upper and lower lash line and finish with mascara. The cherry on top is delicious skin; massage a generous amount of Sol De Janeiro’s Brazilian Bum Bum Cream on arms, shoulders, chest, legs - all over. Don’t be worried about feeling sticky, this cream absorbs into skin like nothing else. 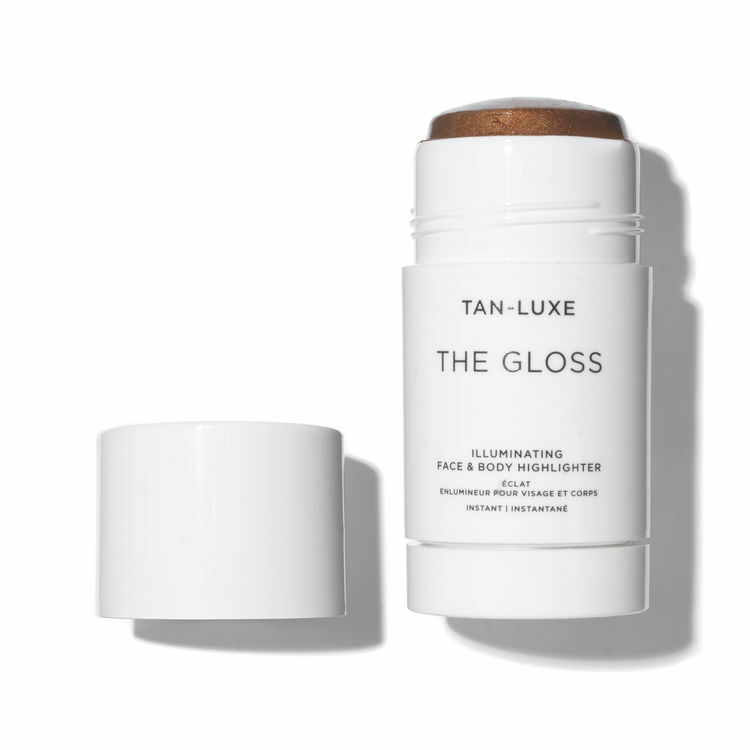 After, I can’t resist adding a few swipes of Tan Luxe The Gloss ($51) over those same areas.It’s a body gloss in stick form so it’s entirely mess free and quick to use as a last minute glow up. Now run out the door with your 11/10 personality and look, your date is waiting.